If you are ready to take your running to the next level distance-wise, there are six key things to tell you it is time. Whether you are jumping from a 5K to a 10K, or a half marathon to a full marathon, there are factors to consider to make the transition smoothly as well as keep you from becoming injured. A runner with six months of running history will likely find it more difficult to make the transition than runner who has been consistently logging miles each week for years. No matter what jump in distance, a runner with a longer base will almost always have an easier time. They typically have a better understanding of what feels “right” in terms of too much, too soon and their bodies are better adapted to handle an increase in mileage. 2) How many races have you run? If you’ve only logged one race at your maximum distance, it would be beneficial to complete a few more before jumping to the next distance. Plenty of runners certainly make this leap with success, but a runner with a half dozen 10Ks under their belt will fair better in the half marathon than the one with a single 10K. They likely have been through the ups and downs of a training cycle and will be a bit more attuned to making adjustments along the way. 3) How are you at reaching your goals? Are you the type of runner who sets a goal and hits it fairly easily? Or do you struggle with accountability and either under- or overestimating your ability? Everyone hits snags in their training plans, but if you are consistently finding it hard to meet your own expectations, it is likely not time to make the jump to the next distance. 4) Do you get injured often? Runners with a history of injury should be extra cautious about jumping to the next distance. 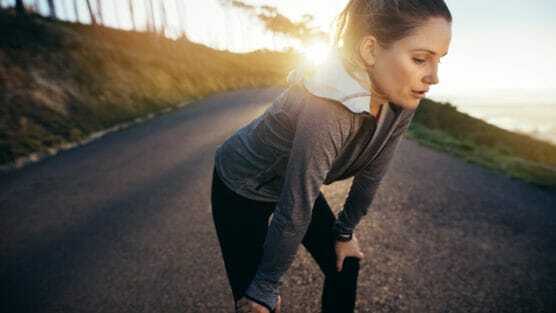 Many running injuries stem from too much, too soon and tackling more miles in both training and racing is the easiest way for those to occur. However if you’ve been running healthy for a couple of training cycles at a lesser distance, you can feel confident about making the next step. 5) How well do you run your long runs? The biggest change in training for the next distance is the long run. Runners must be not only regularly doing the long run, but be able to add miles to their existing long runs. In many training programs, the weekly mileage may not change much, but the long run must set the runner up for success in their maximum distance. 6) Do you rest and recover well? Rest and recovery are just as important as mileage for runners training for a new distance. More mileage will require more attention to keeping your body ready for the next workout while recovering from the prior one. Runners who already have a solid rest and recovery plan will fair better as the demand on the body increases. What tips do you have for a runner looking to make the leap to the next distance?